Many fashion labels have placed backpacks as one of their essential must-have accessories in recent seasons. 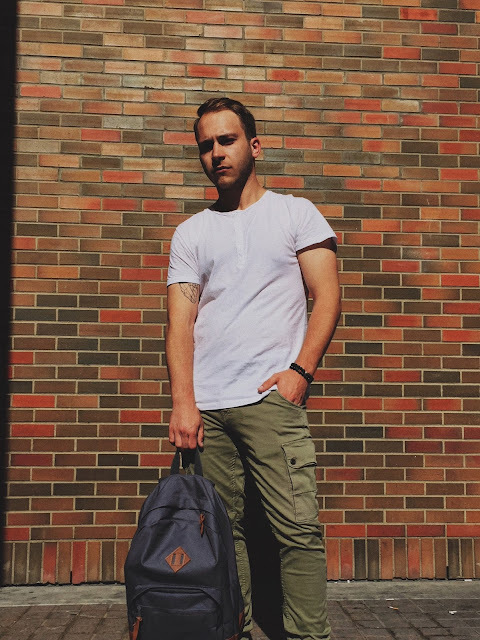 I am also a huge fan of backpacks – but in my case it’s mostly because of its functionality more so than being a fashion trend. Things I usually look for in a backpack is: 1) Quality, which has to do with the material used to make the backpack and craftsmanship. 2) Style, which has to do with the design, and 3) Comfort on the back, especially for travel. This summer I was introduced with the latest backpack collection by the Canadian accessories brand WillLand Outdoors. The one that I have is a grey Luminosa backpack, and I find it to be perfect for work and travel. Made with lightweight material for easy carry, the backpack is also very durable. The double zipper closure is usually what I prefer for this type of bag. It comes in a simple modern design that makes it very versatile for any casual or sporty style. The inside consists of a well-crafted lining with additional compartments and pockets for handheld device and laptop. What I liked the most about this WillLand Outdoors backpack is perhaps the thick cushioned straps, which makes my shoulders and back feel very comfortable even when the bag is weighed down with items. For other styles, the WillLand Outdoors Victoria backpack comes in an array of color options. Instead of zippers, the backpack is designed with sophisticated hidden magnet closures, which elevates the overall look if I was to go to an outdoor party of music festival.